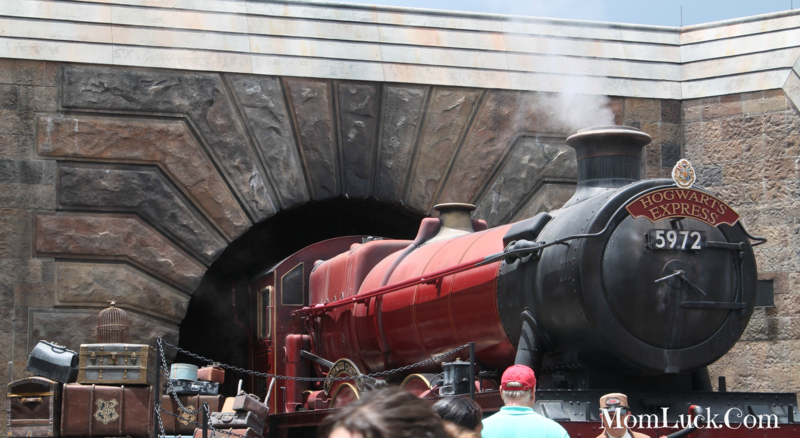 Chances are when you visit Universal Studios Islands of Adventure in Orlando you will make your way through The Wizarding World of Harry Potter. This is such an incredible part of the park. Especially for die-hard Harry Potter fans because it’s like your actually walking through Hogsmeade from the movies. 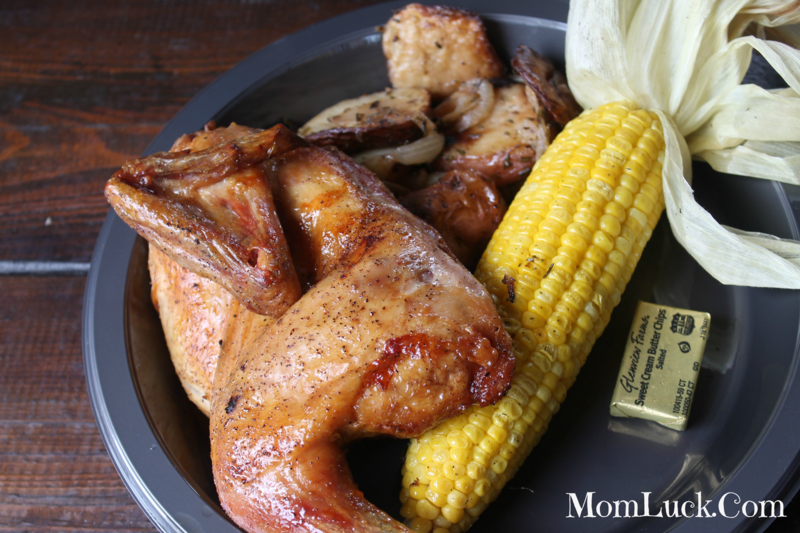 There is so much to see in do in this part of Islands of Adventure but after your done riding all the rides, walking through the shops and taking photos, I highly recommend you check out the Three Broomsticks Restaurant and have a bite to eat. Not only is the food really good but the atmosphere is so much fun. It really brings the whole Harry Potter experience to life. 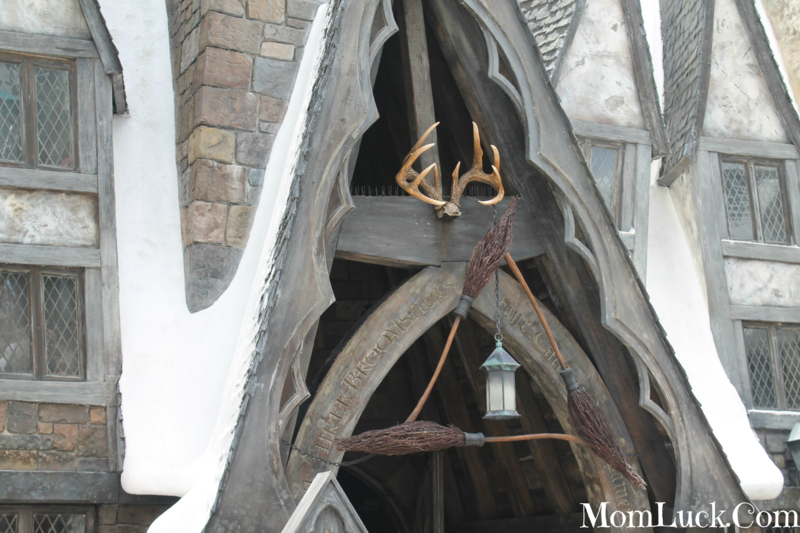 The Three Broomsticks Restaurant is a popular restaurant in the park. I recommend eating before 11:00am or after 2:00pm so that your not hitting the lunch hour rush. We ate at about 1:00pm and it wasn’t too bad. We ended up waiting in line for about 20 minutes, but there is so much to look at while your in line the time goes by pretty fast. Three Broomsticks Restaurant is a counter-service restaurant so you will order your food at the counter and take it to your table. There are many different food options to choose from including the Great Feast which includes chicken, ribs, salad, corn on the cob and more! It runs around $50 and feeds a family of four. I ended up choosing the Chicken Platter which came with 1/4 of a chicken breast, roasted potatoes and a corn on the cob. My meal was around $11 which wasn’t too bad considering the amount of food. The kids meals on the other hand are a bit pricey and don’t come with very much food so if your kids are really hungry I would go ahead and spend the few extra dollars for the adult meal. My son ordered the Fish and Chips which was about $8 and only came with one piece of fish so he ended up eating off of our plates to get full. Now a visit to The Wizarding World of Harry Potter wouldn’t be complete without a ice cold glass of Butterbeer which you can get at Three Broomsticks. We each had a glass and I can tell you it was way better than I expected. 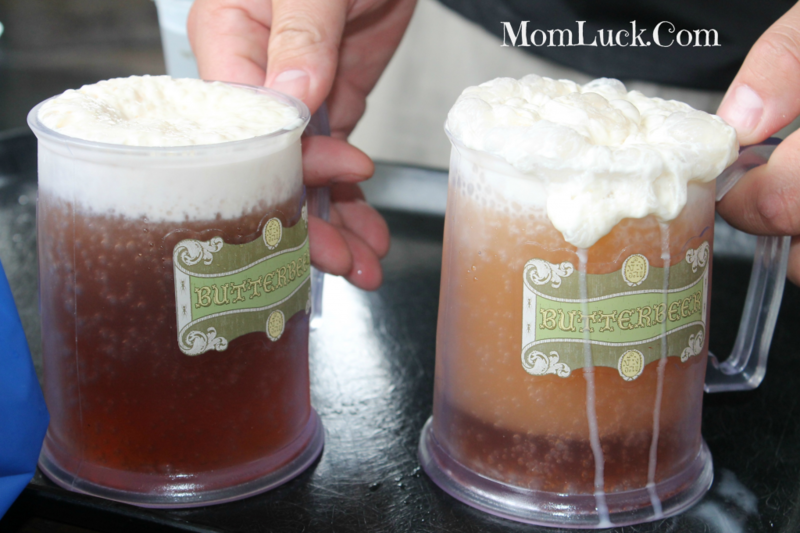 Butterbeer to me is a cross between crème soda and butterscotch. It’s really sweet and also comes in frozen which was my favorite. 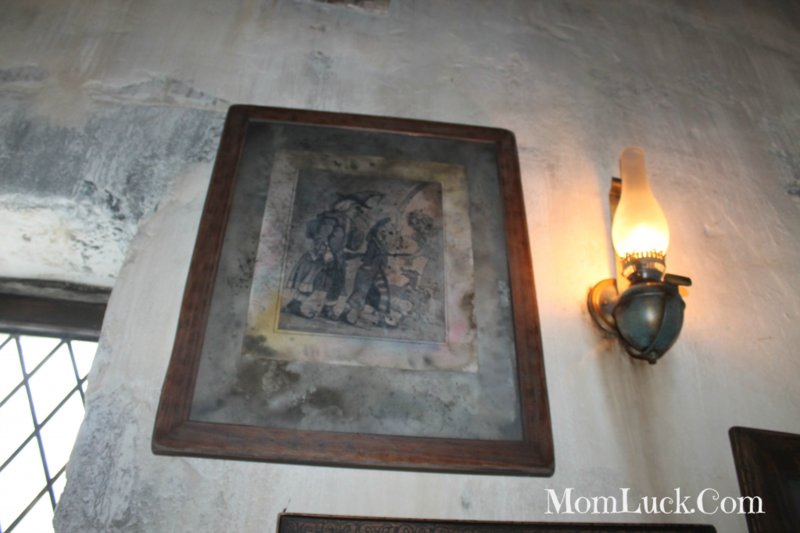 Three Broomsticks Restaurant is open for breakfast, lunch and dinner. While we only ate here for lunch, I hear the breakfast is really good. Maybe next time around we can try that out. we’ve always wanted to go to universal! maybe someday we’ll be able to afford it! That chicken looks so good! I have to add this place to my travel bucket list. Next time I’m there I’m going to try that frozen butter beer. I wanted one last year but it was CRAZY busy back there so I just couldn’t do it. I can’t wait to take my children. OH MY GOSH, I am so jealous! I can’t tell you how much I want to be a witch and go to Hogwarts and just totally live in a Harry Potter world…this place looks phenomenal! I would totally eat there. I LOVE the Wizarding World of Harry Potter but I’ve never eaten there. I so can’t wait to visit when we go to orlando next year! for some reason I really want to go here. I’d love to take my son one day! Looks like so much fun! I have never seen or read anything in the Harry Potter series but I think I would still enjoy the experience! Cool, we went on the ride but we didn’t eat there, looks fun. That looks so fun! I haven’t been to Universal in about 10 years, so this was not there the last time I was there. I have to get back SOON. I haven’t tried this restaurant before. The kids would love this place! We have walked by this place both times we have gone, but have never been inside. We really need to make the stop next time we go. What fun! And that is a good value for theme park food. I still have not been there. I want to go this summer! 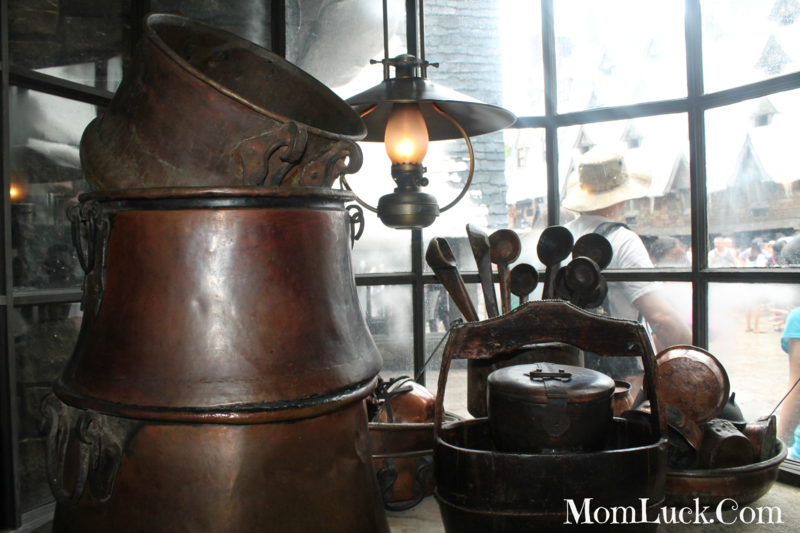 I briefly visited Wizarding World of Harry Potter during a media event a couple years ago. What I experienced was pretty awesome. I’d love to go back and spend more time in the area and even eat at that restaurant.